operating in Sunnyvale and South San Jose! Our award-winning faculty is classically trained and professionally experienced in a wide range of music styles as well as languages. 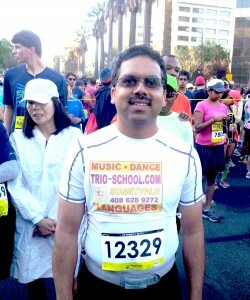 Some of our instructors are known as performing musicians. Our Russian language instructors are professional teachers, who are comfortable teaching native and non-native speakers of Russian. We believe that it is not enough to just educate students; we must also challenge and nurture them so that they are prepared for life and success. Therefore, our faculty is familiar with an array of teaching methods that can match any student’s learning style. Because we teach students as young as three-year-old, we are prepared to kindle a creative spirit in even the most beginners of students. Our advanced students are not overlooked. They participate in the annual exams at Music teachers’ association of California and get excellent grades for their performance. We supply all our students with proficiency appropriate materials so that, regardless of skill-level, they are never bored and are constantly encouraged to advance. All our students get the individual attention they need and deserve. We believe that education requires cultivating a three-way relationship among parents, teachers, and children. We work closely with parents to teach them how to coach and keep their children motivated outside the classroom. In fact, we invite parents to attend classes together with their children. Those parents who practice at home, have an opportunity to perform at our recitals, which are held four times a year.We also offer piano and voice lessons for expectant couples and parents of infants. This program helps get future parents in the classroom learning directly with their unborn yet children or with their infant children. 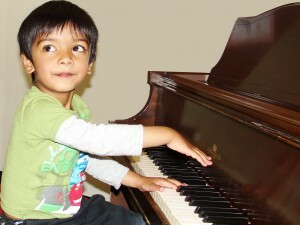 We also offer piano and voice lessons for expectant couples and parents of infants. 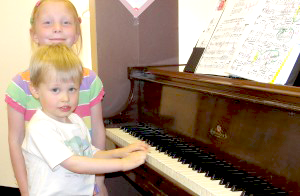 This program helps get future parents in the classroom, learning directly with their unborn yet children and with their infant children.We welcome adults of any age to study music and language with us. We have several different ways to approach their study. 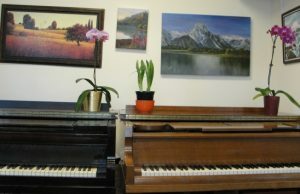 There are different levels of playing music, one of which is playing so called “fake” songs, that allows very beginners to immediately start to play. And different levels of adaptation of serious classical pieces help adult students play serious music they love. We know that parental involvement is pivotal to a child’s development, and here, at Trio School, each of us is a part of a team of Kindred Spirits. We love to bring joy to those who want to listen to our music; that is why,we have frequent recitals at senior living facilities and different places for children. You are most welcome to join us in our exciting journey! Trio, School of Music , Dance and Languages, admits students of any race, color, national and ethnic origin to all the rights, privileges, programs, and activities generally accorded or made available to students at the school. It does not discriminate on the basis of race, color, national and ethnic origin in administration of its educational policies and admissions policies.